However, Ecologist Hugh Jansman and team released information in March concluding that two vixens have indeed settled in Gelderland province. Various sightings led researchers to suspect there may be several more wolves in the area—which is not uncommon—but that they may be joining the established population, something that would be a major milestone. Wolves were hunted to virtual extinction across many places in Europe. In places where they did survive they have shown a remarkable resilience and, slowly, have made their way across their former European territories and started to reclaim land that was lost to them. Some are celebrating the news of the wolves’ return to the Netherlands, but not everyone is happy. Farmers say they need more power to prevent wolf attacks on their livestock. Wolves are an endangered species in Europe, so people can shoot them under specific circumstances, such as them being a present threat to human health. Dutch farmers say they lost over 130 sheep in 2018 to roaming wolves, and they fear that an established population will only increase that number. It is worth noting, however, that while there are stories of farmers observing wolf attacks with their own eyes, the majority of incidents are not confirmed as wolf attacks. Under recent plans, farmers can apply for compensation to recoup the earnings they might lose as a result of wolf attacks, a scheme that has worked with some success since it was put in place in France. Not everyone shares this negative opinion. Others have cited on-the ground-research which has demonstrated that, with a bit of work, wolves can be taught that going after domestic sheep simply isn’t worth the hassle when there is plenty of other prey around. Wolves actually tend to favor deer and other similarly-sized animals. Working with farmers to install things like electric fences around their sheep farms could help keep the wolves away from domestic livestock in favor of going after the abundant wild prey animals in the area. For conservationists, that is one of the major selling points of the wolves. Due to hunting and other factors, the Netherlands lacks large land predators to keep herbivore populations in check. 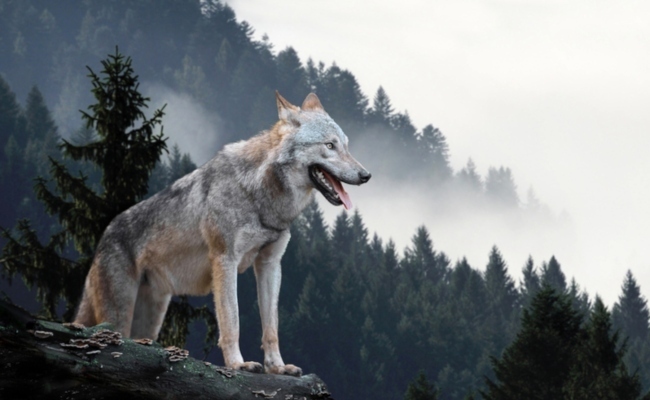 Wolves could provide a significant balancing to the equilibrium in the area. Conservationists believe that the region could house around 20 small wolf packs of up to eight animals. This will certainly be a challenge for local farmers and the wider ecology, but as other nations have shown, it is possible to achieve a balance with the wolves that can be beneficial for them and for us. When they can manage the wolves to stay in Germany, in France, in Belgium and other countries, why should the Dutch people not be able to do so? LEARN TO SHARE THE PLANET !! !